Definition at line 177 of file udmihelp.c. Referenced by AllSysInfo(), GetSystemName(), InitializeSystemPage(), and PrintSystemInfo(). Definition at line 145 of file udmihelp.c. Referenced by AllSysInfo(), GetBIOSValue(), and GetSystemName(). 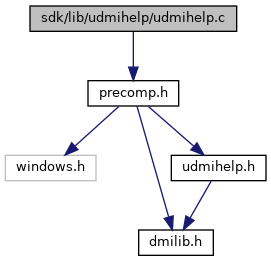 Definition at line 15 of file udmihelp.c. Definition at line 30 of file udmihelp.c. Definition at line 110 of file udmihelp.c. Referenced by GetSMBiosStringW(), InitializeSystemPage(), and wcsrep(). Definition at line 11 of file udmihelp.c. Definition at line 10 of file udmihelp.c.